On the first Tuesday of every month, obtaining good, simple legal advice is easy! Just call 512-472-8303 for LegalLine, the free legal advice hotline. Phones are answered between 5:30 PM and 7:30 PM. Calls are completely confidential and anonymous. Attorney who are bilingual (English/Spanish) are also available. What types of questions do you answer? General legal questions dealing with most areas of the law. If there is no attorney available to answer your particular question, we will find someone to return your call. You will talk to an attorney volunteer licensed in the State of Texas. If I like the attorney, may I hire him or her to help me? Yes. If the attorney decides you need further assistance and they have experience with your type of legal issue, the lawyer you are talking to will arrange a referral through our program. We will follow up with you on the following day with more information. Will the attorney be able to answer my question? The attorney will do his or her best to either answer your question or point you in the direction you need to go to get an answer (e.g., retain an attorney or give you the number of an agency that may help). Legal issues come in all shapes and sizes, and LegalLine is intended only to provide assistance to common or general legal questions. If your matter concerns complex matters or facts, you may need to talk to a lawyer in person. How long do calls last? Volunteer attorneys keep the calls as short as possible so that LegalLine can help as many people as possible. However, the length of calls varies depending on complexity. If you cannot get through due to high call volume, please be patient. You might hang up and call later in the evening. If you end up in the voicemail system, we will try to have a lawyer call you back that evening. Can I pay to talk with the attorney for a longer period of time? Not during LegalLine. If you require further assistance, you may wish to call Austin Lawyer Referral Services the next business day. 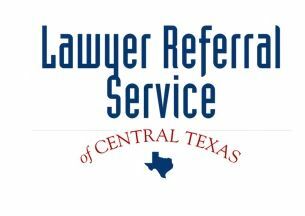 LegalLine is a public service program of the Austin Lawyer Referral Service. Call us for free legal advice!